I develop professional, custom websites for small to midsize businesses. Often clients will have me develop their website as well as host it using my Backlit Content Management System. My speciality is Flash work. Clients hire me when they need flash banners, interactive widgets, online presentations, and full applications created in Adobe Flex. 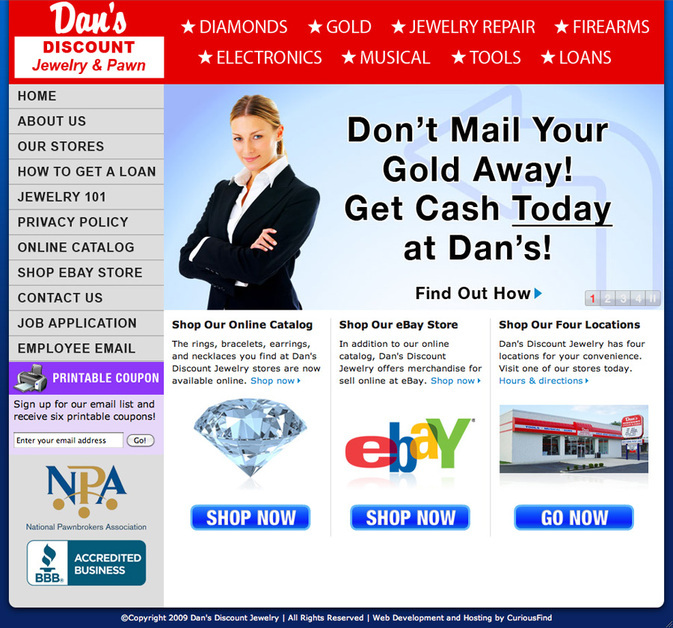 Screenshot from www.dansdiscountjewelry.com, which was a site where I handled everything from top to bottom.